Hurry in on our best deals on 2003-2006 Chevy Silverado Chrome SMD LED Euro Headlights + Bumper Lights (1PC) and enjoy FREE SHIPPING and other promotions! 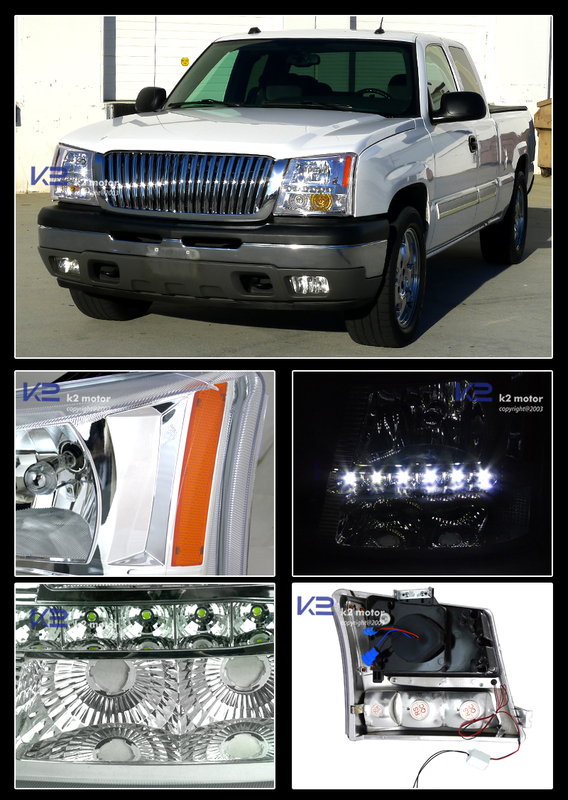 Brand New 2003-2006 Chevy Silverado Chrome SMD LED Euro Headlights + Bumper Lights (1PC). 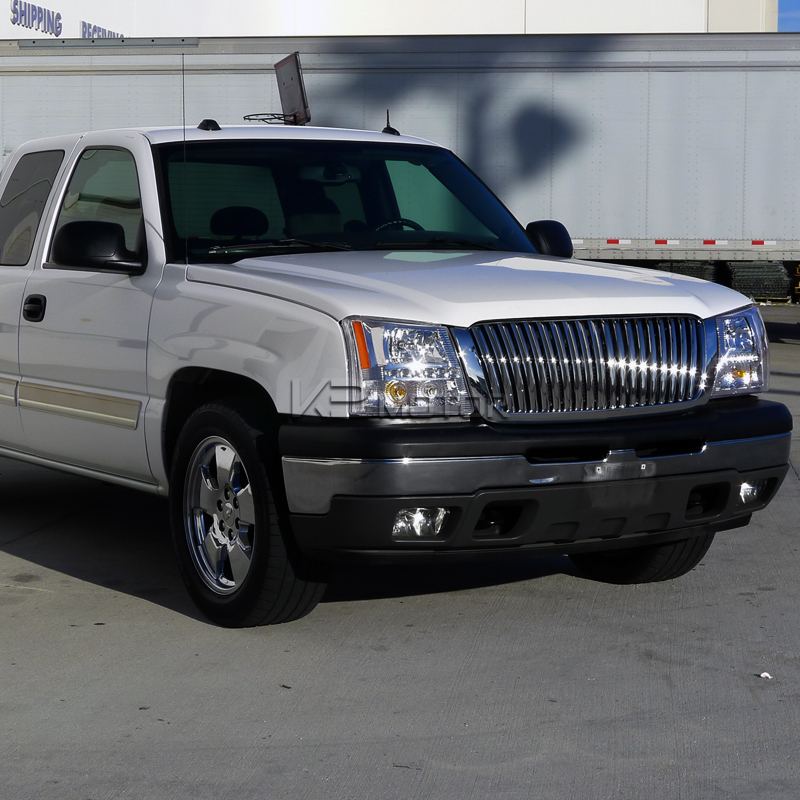 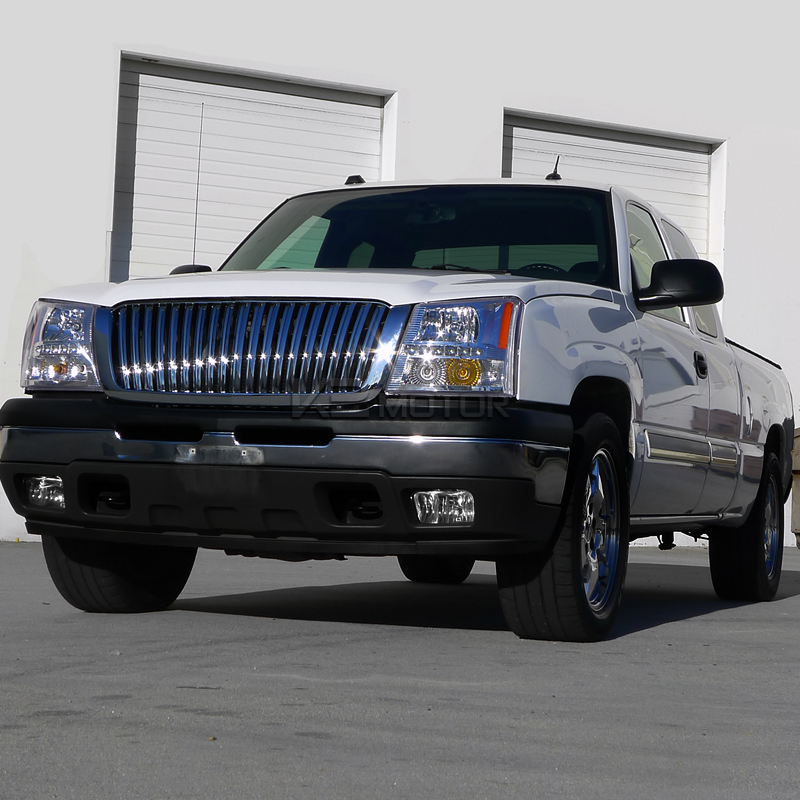 If you're looking for a new way to customize your car, these OEM replacement headlights for your 03-06 Chevy Silverado are what you have been looking for. 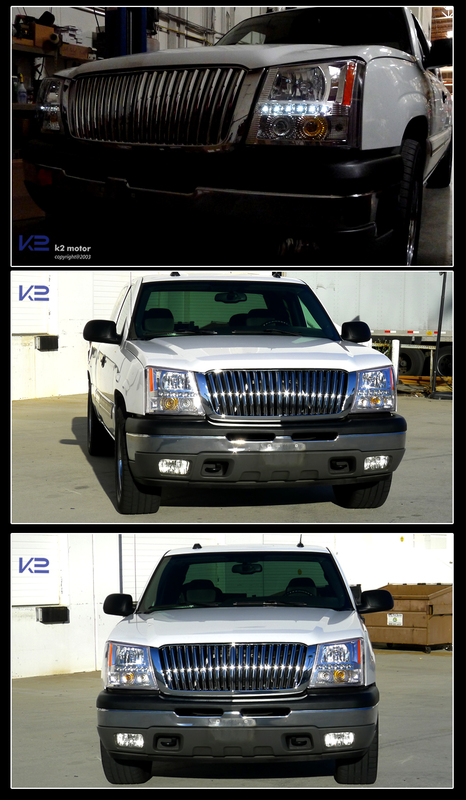 Replace your old and damaged set and try these stunning new headlights for your car. 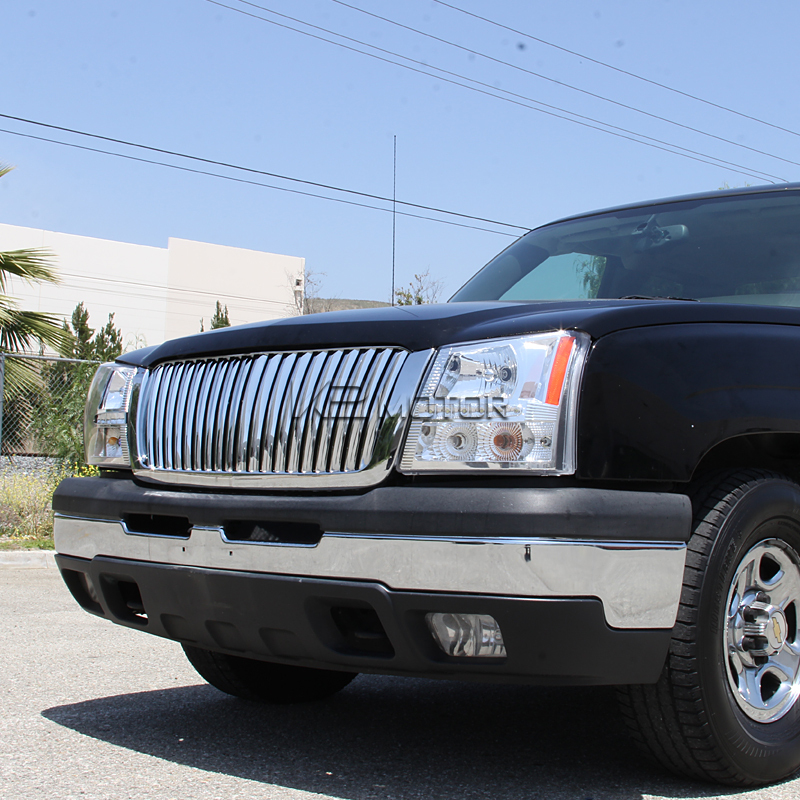 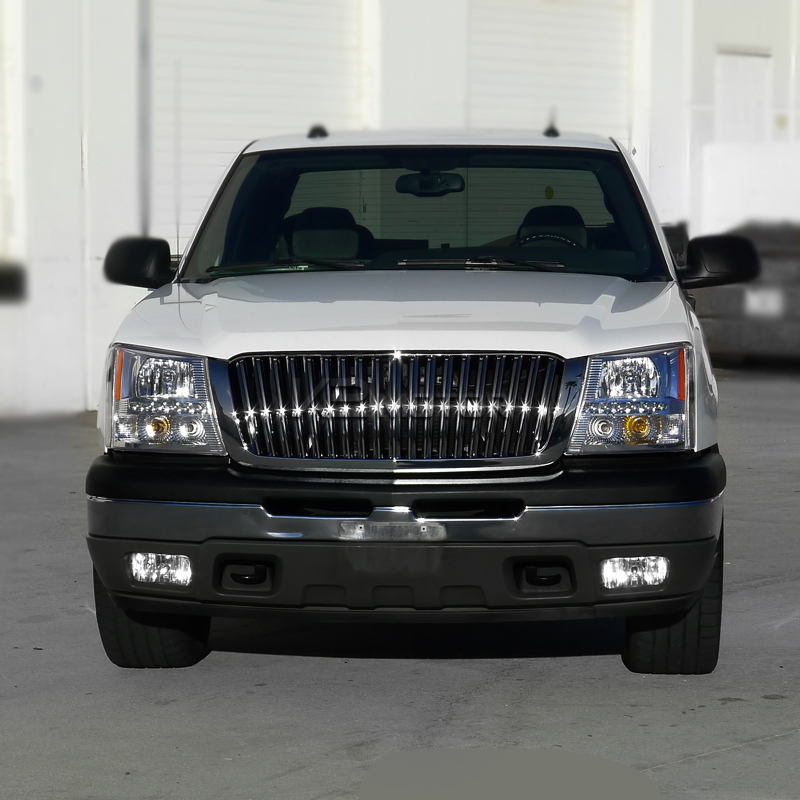 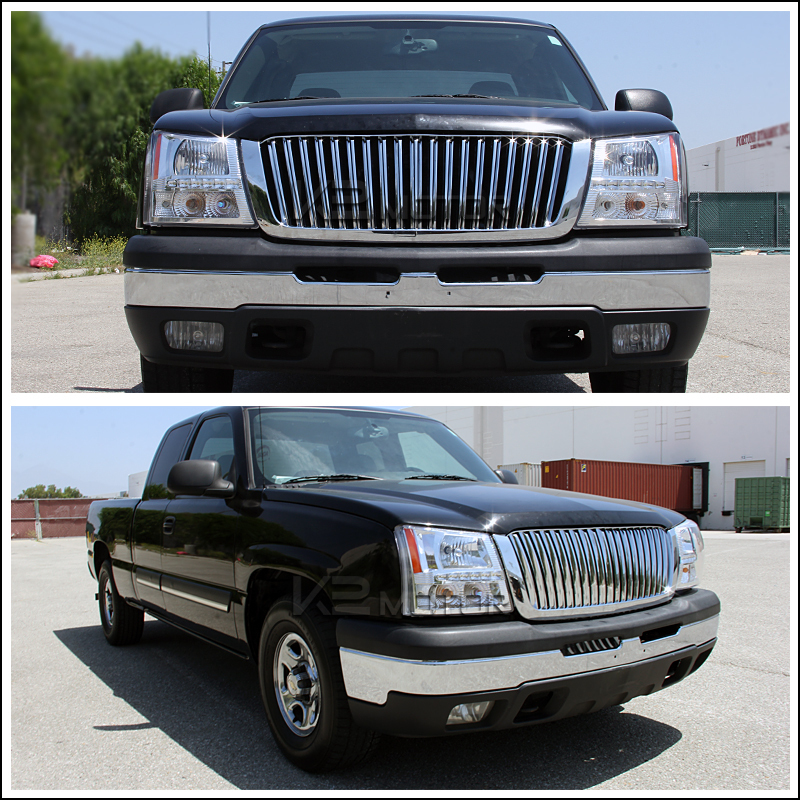 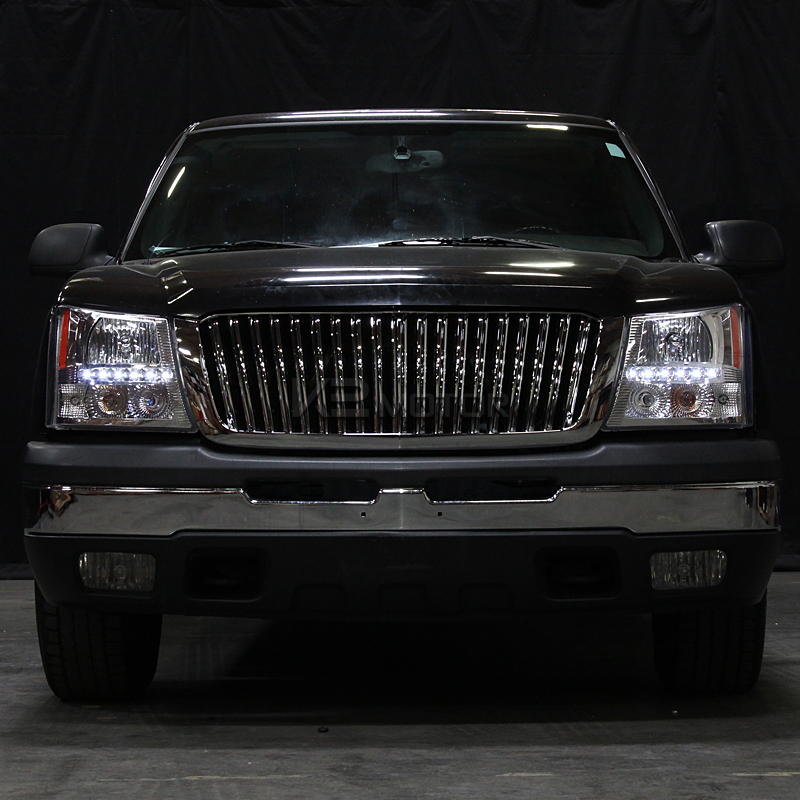 These durable headlights for your Silverado will give you a more stylish and sleek look without standing out too much. 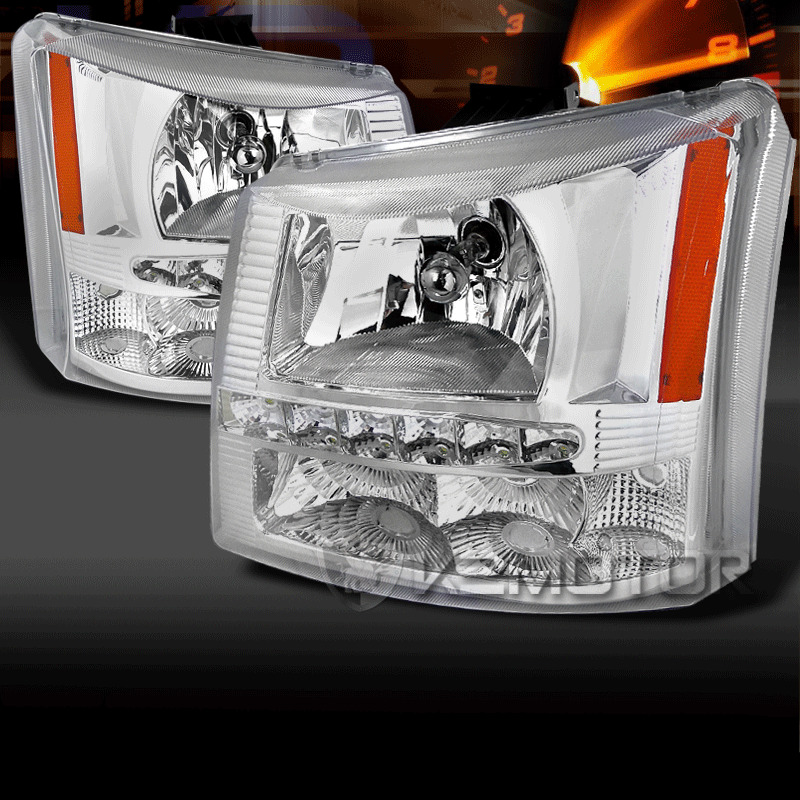 Made specifically for your Chevy Silverado, these are a direct replacement and made to work in place of your stock lights.